Description The master tracks for this awesome previously unreleased Plasmatics/Wendy O. Williams album were thought to be destroyed until they were rediscovered at the end of 2008. The trax were originally recorded at Jimi Hendrix’s Electric Lady Land Studios in NYC in 1981 as a demo for the Plasmatics album later released under the name “Coup D’Etat” with a different producer, different arrangements, and a different band line-up. Recorded and mixed in less than two weeks at less than a tenth of the budget of Coup D’Etat later recorded in Germany (and an awesome album in itself), many feel the freshness and power of these more spontaneous trax in many ways are the better of the two. 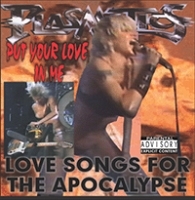 Whoever wins the debate the result is a windfall for Plasmatics fans...a complete previously unreleased album of some of the Plasmatics most classic songs. 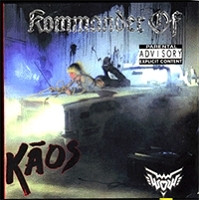 Vocals: WENDY O. WILLIAMS; Lead and Rhythm Guitar: Wes Beech; Bass Guitar: Chris 'Junior' Romanelli; Lead Guitar: Rich Stotts; Drums: Joey Reese. Produced by: Rod Swenson with Dan Hartman.